You've eyed Grandpa's old Spear & Jackson handsaw for years before discovering a passion for woodworking and now it's time to knock the rust off the plate, repair the horns and send it off to a saw doctor to straighten out the toothline and put a fresh edge on the teeth. But apart from sentimental value, how do you know if it's even worth saving? Taking it a step further, you also purchased a century-old Groves & Sons brass-backed backsaw from eBay recently, but there's scattered pitting on the plate and the seller didn't tell you about how the toothline presents a serpentine S-roll, which will never allow the saw to cut right. Are these saws worth saving? Probably, but perhaps not. Let's find out. There are steps you can take now to determine if they're worth putting money into. 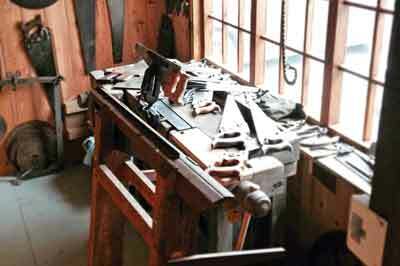 Let's start with handsaws first. We're going to 'flex-test' the plate - something I do before purchasing any handsaw - to see whether enough life exists in a tool that was exquisitely taper-ground and hammer-smithed taut by master craftsmen from the 19th and early 20th century. Sight down the toothline. Chances are, you'll find a bow or two. While this can probably be hammer-smithed straight, you'll still need to know whether enough tension remains in the old plate before paying good money to have a saw doctor tune it up. Circle the plate into an 'O', then let go of the toe end of the sawplate so it can 'spring' back into true. Remember that sawplate alloy is spring steel - a high-carbon alloy used in car suspensions, springs and in our case, sawplates. 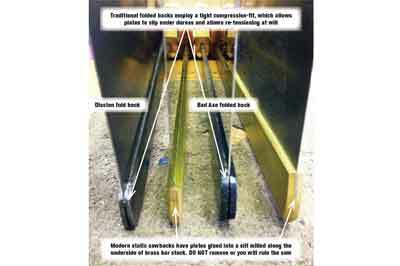 The plate won't break; the nature of spring steel should allow the plate to spring back into true. Sight down the toothline again. If the toothline remains flexed by more than 10° in the direction you flexed it, then you might well have a problem that's beyond repair. Let's confirm our suspicion. Now circle the plate in the opposite direction and again, let the plate spring back into true. Sight down the toothline. 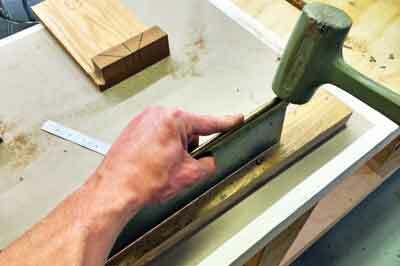 If the plate has flexed back into a relatively straight toothline, give or take a few degrees, then it's worth saving. On the other hand, if it is now flexed 10° or more in the new direction you've flexed it, then your saw should be retired. Sight down the toothline: chances are, you'll see what appears to be a bow or kink. What you're seeing is not actually a kink, but an S-curve or a slight twist where the plate slipped out of tension from where the sawback clamps the spine - likely caused by torquing the plate with a difficult cut or from having been dropped. Hold the saw down upright on a jointed flat surface and bear down on it with the heel of your hand - about 10psi - just in front of the handle. Pinch the underside of the sawback ahead of the handle with your thumb and forefinger, while resting the heel of your hand along the top of the sawback. Exert slight downward pressure where the heel of your hand is bearing down on the sawback. 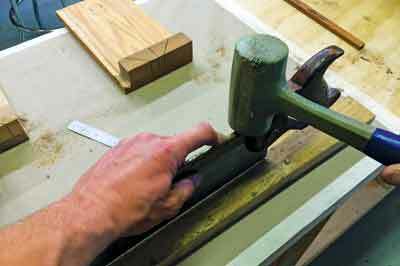 Using a dead-blow mallet, gently tap the sawback where it is revealed above the mortise receiving it in the handle. 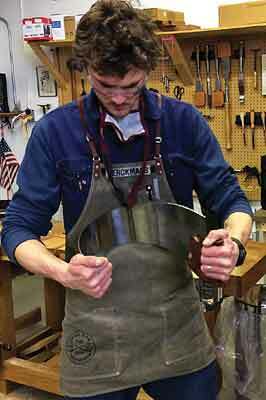 You should feel the sawback shift on the plate ever so slightly where it binds to the sawplate. Now reverse your saw and this time gently tap the toe end. Don't overdo it - just a gentle tap. Again, you should feel the back shift on the spine of the plate. Hold the toothline up to good light and sight down the teeth - the S-curve should have straightened out now and is a good candidate for rehabilitation. What you have done is promoted a see-saw effect with the sawback along the spine of the plate. This shift in clamping tension at both ends of the plate has equalised the back's clamping tension along the spine, thus truing up the toothline. In conclusion, flexing a handsaw plate to assess how much tension remains in the spring steel is the key criterion as to whether or not it can or should be saved. 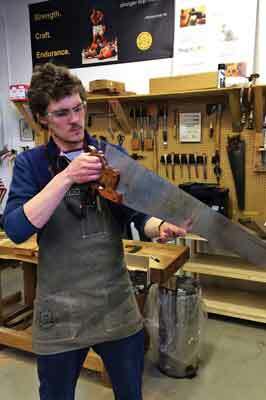 As for backsaws, a few simple taps fore and aft will tell you within seconds whether that plate is any good. At the end of the day, horns can be repaired by grafting new wood onto them; plates can be scrubbed rust-free. The most important thing is knowing how to assess the metal sawplate itself before you find yourself throwing good money after bad.